Peter Ryan wakes up on a typical morning only to find his house empty, his wife and daughter nowhere to be found. His world is shattered after a phone call to a friend confirms the impossible: his wife and daughter died in a car accident he does not remember. Haunted by faint memories and flashes of details, Peter becomes convinced that something isn't right and begins to question reality. When he discovers a note in his daughter's handwriting, strange memories begin to surface that cause him to second-guess nearly everything he once believed. Suddenly armed men show up at Peter's home, turning the mysterious puzzle of his past into a dangerous game of cat and mouse. On the run and unsure whom to trust, Peter has to discover what's real and what isn't ... before he loses everything. 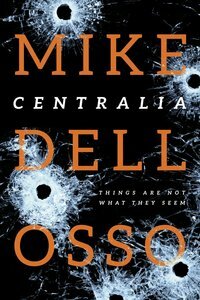 About "Centralia (#01 in Jed Patrick Novel Series)"
Customer Reviews For "Centralia (#01 in Jed Patrick Novel Series)"
Gripping from the first page. Plenty of twists and turns too.